The cable industry has reinvented itself many times in the face of disruptive media and technology trends. Nowhere has that been more apparent than outside the U.S. where Liberty Global has pioneered gigabit broadband speeds, mobile convergence, multiscreen video apps, and OTT integration in over 30 countries around the world. Liberty CEO Mike Fries, an architect of the company’s growth since 1990 and CEO for the past 15 years, has been at the forefront of that innovation and change, bolstered by over $125 billion of M&A deals during his tenure. Join us on May 8 as we tap into Mike’s global perspective on the most pressing issues in the media world, and where the TMT ecosystem might be heading. 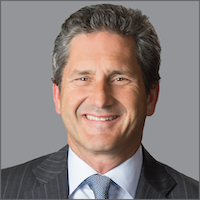 Mike Fries is Chief Executive Officer and Vice Chairman of Liberty Global, the largest international TV and broadband company in the world, with operations in 10 European countries and 51 million broadband, video, voice and mobile subscribers. Liberty Global is recognized as a global leader in entertainment, media and communications, spearheading gigabit broadband speeds, actively integrating traditional video and OTT platforms, and converging fixed and wireless services with quad play bundles. Annualized full company revenue is $16 billion. The Company also owns 50% of VodafoneZiggo, a Dutch joint venture, which has 10 million fixed line subscribers and 5 million mobile subscribers. Fries was a founding member of the management team that launched the Company’s international expansion 28 years ago, and has served in various strategic and operating capacities since that time. He was appointed Chief Executive Officer of the Company in 2005 and serves as a member of its two-person Executive Committee along with Chairman, Dr. John C. Malone. Fries is also Executive Chairman of Liberty Latin America (LLA), a leading broadband and mobile operator in Chile, Puerto Rico, the Caribbean and other parts of Latin America. LLA serves 9 million broadband, video, voice and mobile subscribers across 20 countries and generates $3.7 billion of annualized revenue. LLA was split off from Liberty Global to focus purely on organic and strategic growth in the region. Fries also serves on the corporate boards of Grupo Televisa and Lionsgate Entertainment. Fries is an engaged industry and community leader. He also serves as trustee for Cable Labs and The Paley Center for Media, and he chairs the board for the Museum of Contemporary Art Denver and the Biennial of the Americas. He is a Digital Communications Governor and Steering Committee Member of the World Economic Forum and a member of Young Presidents’ Organization. Recognition for his achievements includes EY Entrepreneur of the Year in Media, Entertainment and Communications, Industry Leader of the Year by Digital TV Europe, and inductions into the Broadcasting & Cable Hall of Fame and the Cable Hall of Fame, which recognizes pioneers and leaders in the cable industry. Mike holds a B.A. from Wesleyan University, where he serves on the Board of Trustees, and an M.B.A. from Columbia University, where he is a member of the Board of Overseers for the Business School. 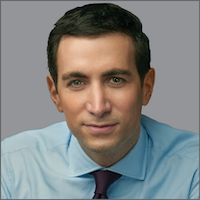 Andrew Ross Sorkin is a financial columnist for The New York Times and a co-anchor of CNBC’s Squawk Box. Sorkin is also the founder and editor at large of DealBook, a news site published by the Times. He is the author of the best-selling book Too Big to Fail: The Inside Story of How Wall Street and Washington Fought to Save the Financial System and Themselves, which chronicled the events of the 2008 financial crisis. Sorkin co-produced an HBO adaptation of the book, which was nominated for 11 Emmy Awards. He is also co-creator of Showtime’s drama series Billions. He has won numerous journalistic honors, including two Gerald Loeb Awards, and is a member of the Council on Foreign Relations. He started writing for the Times in 1995, while still in high school. Media Council Members can view the live stream of this event beginning at 1:00 pm ET on Wednesday, May 8.